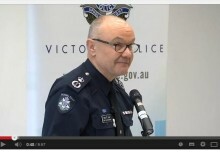 Racial profiling by Victoria Police and the harmful impacts of media distortion, stereotyping and racism have been exposed in a hard-hitting look at Victoria’s racialised crime panic on national television. 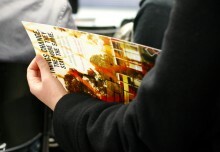 ABC’s Four Corners interviewed several of our clients who have experienced some shocking incidents of racial profiling, including two young men who were aggressively ordered out of a public library in Melbourne’s Watergardens by police,. “Being ordered out of public libraries for no other reason than their skin colour is unacceptable in Australia” says Deng Maleek, Peer Advocacy Coordinator who first made contact with the young men interviewed on tonight’s show. 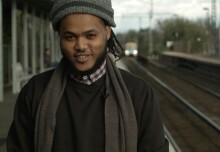 The Four Corners episode was able to demonstrate the link between racialised tabloid media report and police then racial profiling young people of African background. Despite Victoria Police having a policy against racial profiling’, young people of African background still report multiple and regular traffic and street stops by police. “Victoria Police need to take racial profiling seriously and ensure that all police are held accountable for unlawful stops based on bias or stereotypes.” said Anthony Kelly, Executive Officer of the Flemington Kensington Community Legal Centre tonight. 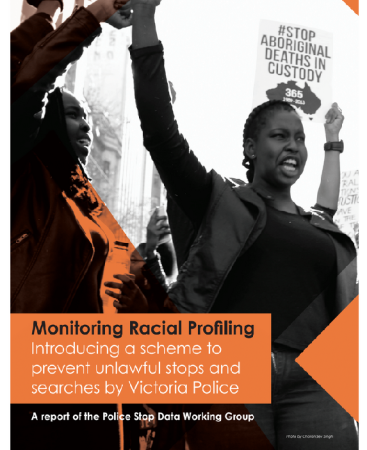 Stop-data monitoring make police practices transparent and facilitate the external and internal pressure needed to bring Victoria Police’s racial profiling ban into practice. Gathering data on the ethnicity of people stopped by police offers one clear measure of rates of racial profiling, and has been demonstrated to reduce the number of unlawful stops and searches by police. The Four Corners broadcast also cast light on how racial perceptions of crime are manipulated and used by everyone from White Nationalist groups to mainstream political parties in win votes. “We join with the huge network of community organisations to call upon all candidates in the Victorian State Elections to keep racism out of politics and to promote smart, evidence-based and effective justice policies.” Mr Kelly said.